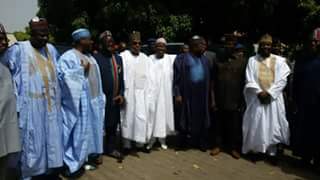 Airport for an official engagement to Benue state and were received by His Excellency Governor Samuel Ortom, Sen George Akume and other dignitaries from the state. 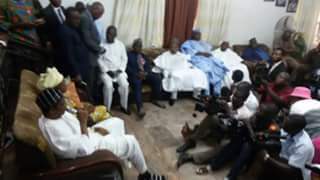 The Governors led by His Excellency Governor Samuel Ortom of Benue state later visited the new paramount leader of the Tiv Kingdom, Prof.
James Atase at his private residence in Makurdi. 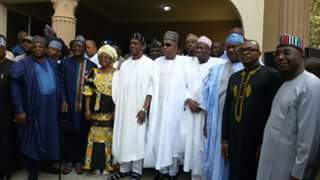 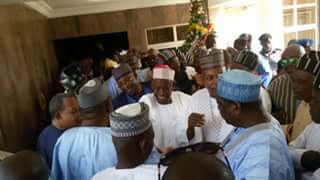 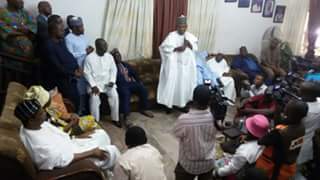 governors of Borno, Kano and Bauchi to his private residence and thanked them for the visit.